Whatsapp supports for Blackberry, Java and Symbian was initially set to be unsupported on June 30th 2017; but the uplifting news now is that Whatsapp has officially extended its support once more to those devices until the end of this year 2017. Good news right? Ofcourse, it's a good news to all owners of any of the above devices. This should give you more time to port to either iOS or Android device. I know many that has already gotten an Android device all because of this Whatsapp saga. According to a reliable source, reports has it that WhatsApp for BlackBerry 10 (and BlackBerry OS7+) would be extended until the end of 2017, instead of the initial stated date of June 30 2017. 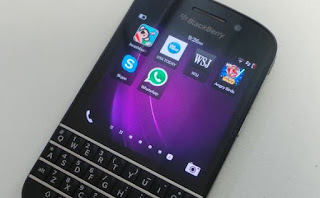 In conclusion, it's not yet totally over for Blackberry users as they can still continue enjoying WhatsApp till the end of this year and hopefully praying for yet another extension or intervention as it's the case in the Nigerian Foreign Exchange Market. However, according to source, S40 users (Java phones) have also been given more time and have had their end date extended as well. But S60 (Symbian phones) ends June 30th which is quite unfortunate. good news for those who use this device. Till the end of this year 2017.